Kathi's warm, funny, and thought-provoking expertise will give you the tools and confidence you need to connect with your kids. Small efforts can make a big difference in the life of a child ... and in the life of a mom! Well, it’s actually a lot easier than you think and you may be already be doing some of the things mentioned in The Mom Project already. What may be missing is intentionality. Kathi teaches us how to be intentional in how we approach our children. At the end of this project, not only will you have spent three weeks working on your relationship, you will also have learnt the skills to continue it for the indefinite future. Especially since there are a lot of variations in the book to give you loads of ideas for years to come. Kathi has a wealth of parenting experience to share: she’s been a single parent, a step-mother and a mom in a traditional family – she’s done it all! And she knows a lot of the objections that we’ll come up with and shoots them down before we can even formulate them. Before diving into the details Kathi takes a few chapters to give us some background on what she calls the book that almost never was. When the first version was written seven years ago she was going through a really rough her son, thankfully for us she persevered. Through her experiences we realize that it is possible to connect with our children, not only is it possible it is also very important. What I really liked about the book was that there was a questionnaire that helps you to determine the personality type of your child. Then, at the end of every connection Kathi explains how to tailor the activity for your child’s unique personality. As I read through the activities, I learnt a lot about my son. I understood why he responded in a particular way to various stimuli. I also learnt how to approach him in the future for maximum impact. My favorite connection was listening to audiobooks as a family. As the only true reader in my house (you know the kind I mean – one that would rather read than eat, at least if the book is really good), getting my family to read together normally means I have to read the whole book. This way I can get everyone into a book and save my voice – now why didn’t I think of that before? Kathi Lipp inspires thousands of women each year to strip down their expectations and lives and live with real purpose. With humor and wisdom, Kathi offers hope paired with practical steps to live with meaning. Kathi Lipp is the author of 16 books including Clutter Free, The Get Yourself Organized Project, The Husband Project, Happy Habits for Every Couple, and I Need Some Help Here – Hope for When Your Kids Don’t Go According to Plan. She is the host of Clutter Free Academy the Podcast! with Kathi Lipp and speaks at conferences across the US. 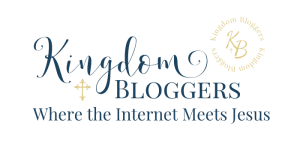 You can connect with Kathi on her website, Facebook, Twitter, Pinterest or Instagram. Get your copy today on Amazon. I received a free copy of the book from Net Gally in exchange for my honest review. Have you read The Mom Project? What were your thoughts? Share them with me in the comments below.